Meet the Little Church Staff. Fr. John David van Dooren is a native of North Carolina, and was graduated from the University of North Carolina, Chapel Hill (1982) and the Virginia Theological Seminary (1987). 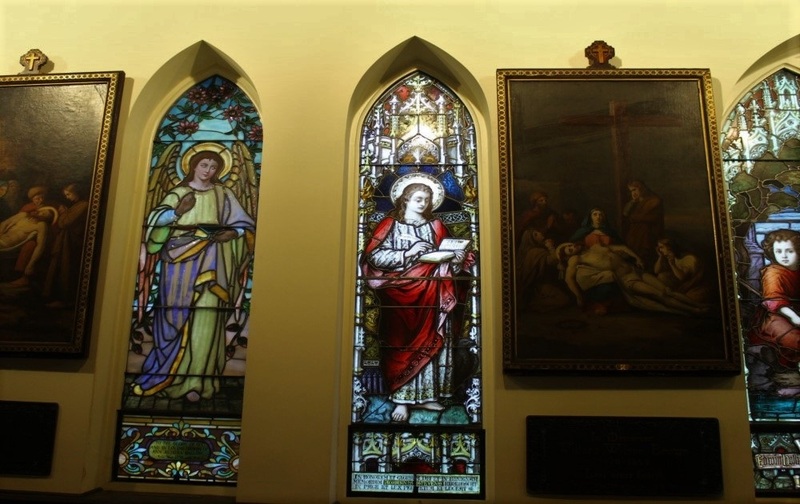 His first field assignment was to an Anglo-Catholic parish, one of the only few in the the area. There Fr. van Dooren was introduced to a spirituality that would define his eventual priesthood and lead him to a lifelong commitment to urban ministry. After beginning his ordained life as chaplain and track and field coach at St. Stephen’s Episcopal School in Alexandria, VA (a happy period of life other than wrecking two school buses), Fr. 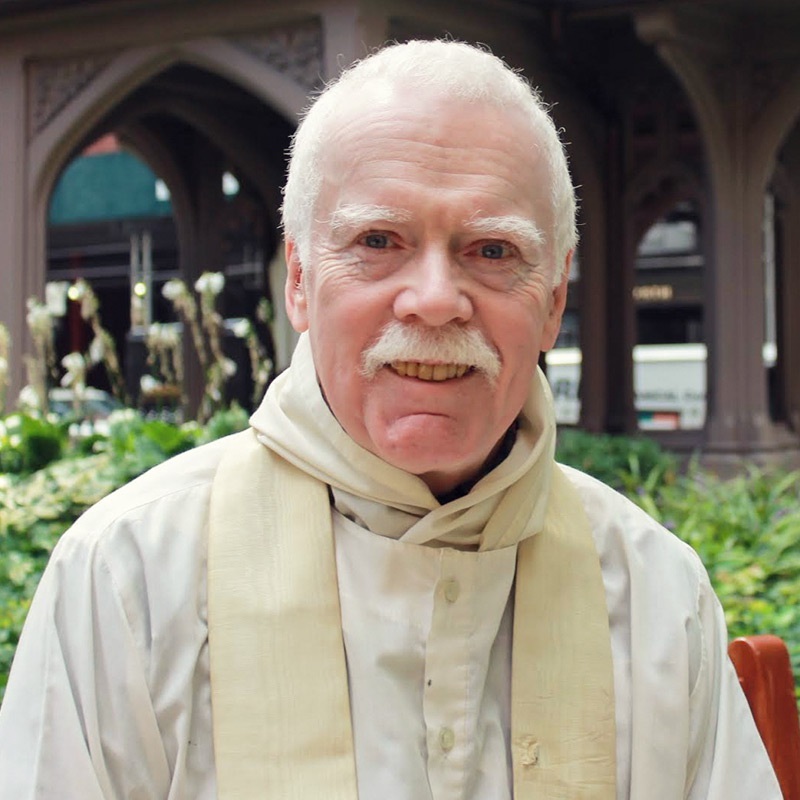 van Dooren served as curate of All Souls Episcopal Church in Washington, DC. He then served as an assistant priest at St. Martin’s in the Field, Severna Park, MD, before being called back to All Souls as their sixth Rector. After 14 years as Rector, Fr. van Dooren accepted the call to the Church of the Atonement in Chicago, where he served as Rector for eleven and half years. Fr. 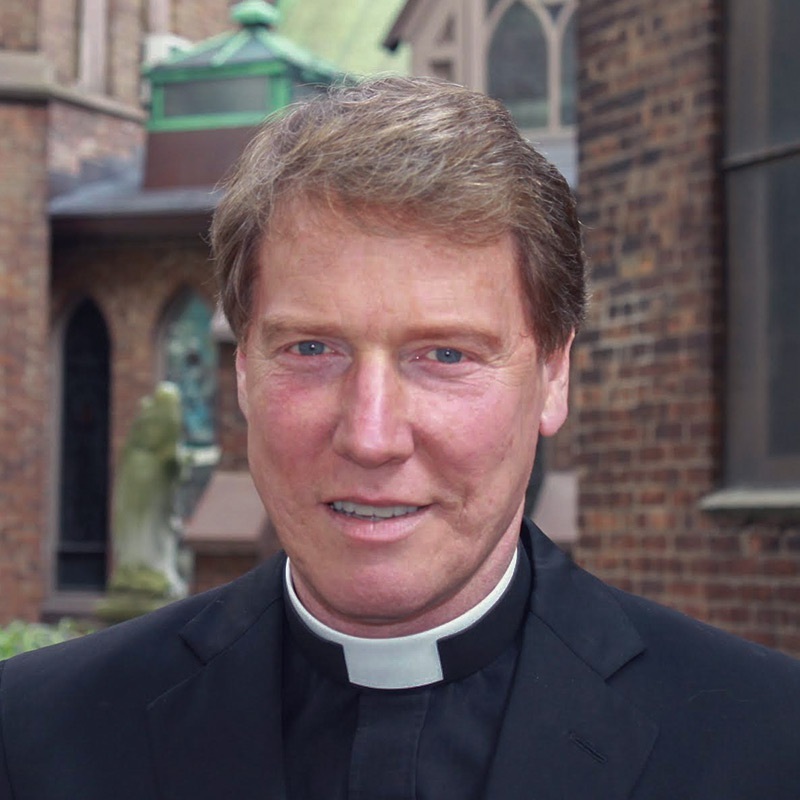 van Dooren was elected the eighth rector of Transfiguration in early 2017. He has shared the past 30 years of life with Gary Norcross. Fr. 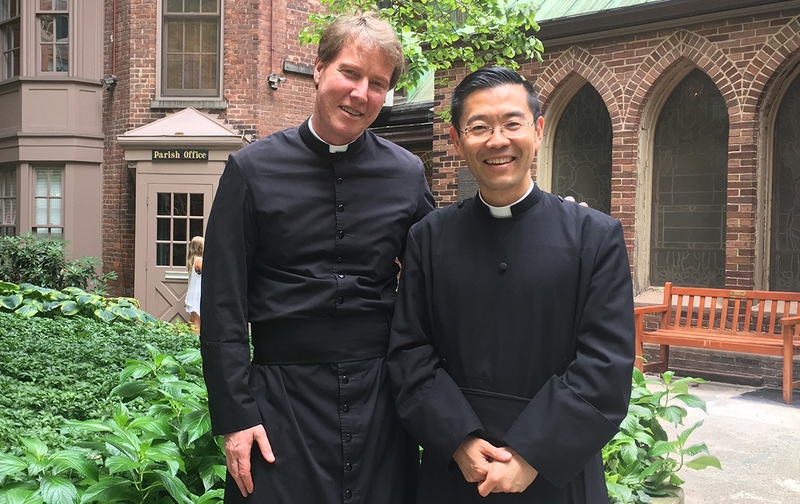 Patrick Cheng has served on the staff of The Church of the Transfiguration since 2015, first as an associate priest and currently as the associate rector. Prior to his arrival at the Little Church, Fr. 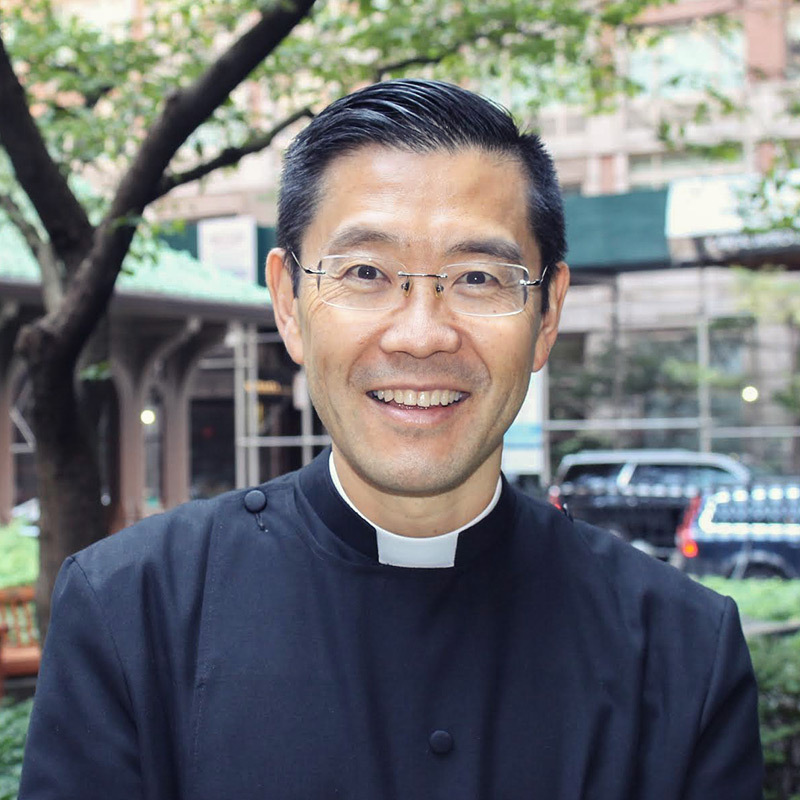 Cheng taught historical and systematic theology at the Episcopal Divinity School in Cambridge, Massachusetts, and served as the pastoral assistant at Emmanuel Church in the City of Boston. In addition to his ministry at Transfiguration, Fr. Cheng works for a national agency of the Episcopal Church, and he serves on the board of trustees of the Anglican Theological Review. He holds degrees from Yale College, Harvard Law School, and Union Theological Seminary in the City of New York. For more information about Fr. Cheng, please see his website at www.patrickcheng.net. The Rev. Warren C. Platt is a native New Yorker, his first forebears having arrived in Brooklyn in December, 1849. He is a graduate of Cornell University (B.A., 1966), Union Theological Seminary (M.Div., 1969), Columbia University (Master of Science in Library Science, 1970), and Columbia University (Ph.D., 1982). Prior to his retirement in 2009, he worked at Brooklyn Public Library and the Research Libraries of the New York Public Library. At the latter institution he was responsible for collection development in the area of religion and cognate disciplines, and he also wrote and edited the research guides which assisted readers in the utilization of the Library's collections. During this time he assisted at the Church of the Transfiguration celebrating Mass as well as giving sermons and lectures. He has been published in various academic journals, principally in the areas of church history and library science, and his current area of interest is the history of the rise of ritualism in nineteenth-century Episcopalianism. Mother Joanne Izzo is a native Brooklynite. She graduated from Fordham University in 1979 with a BA in philosophy, and earned a Master of Sacred Theology degree at General Theological Seminary in 2014. While at GTS, she curated an exhibition of icons, and served as editor for the exhibition catalog. Mother Joanne was ordained as priest in the Diocese of New York in 2014. 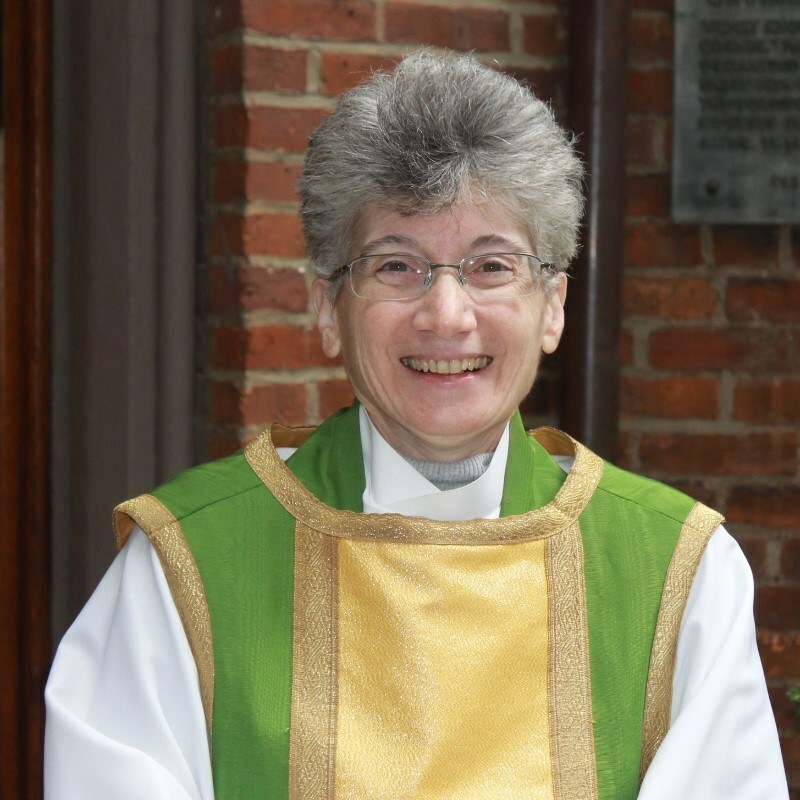 She served as pastoral assistant at Christ Church, Tarrytown until February 2016. In the spring of 2016 she was invited to join the staff of The Church of the Transfiguration. She currently celebrates one weekday mass a week here. She is certified as an Interim Minister and a coach for clergy. She was called by The Church of the Good Shepherd, Bronx to serve as their Interim Priest in Charge. At the request of the Canon for Transitional Ministry in the Diocese of New York, Mother Joanne designs and facilitates vestry, ministry, and leadership retreats, and appreciative inquiry processes for congregations seeking to identify goals, aspirations, and strengths. She oversees the training of other clergy to lead these retreats, and has been invited to serve as consultant to other dioceses in the region. Alison Joan Turner was born in the southeast of England. She has always been involved in parish life, especially in the area of church music. She has a bi-vocational ministry, as both a teacher and priest. Her ministerial formation course was based in Cambridge, and she was ordained priest in the Chelmsford Diocese in Michaelmas 1998. Her most recent position in the UK was as Priest Vicar in Exeter Cathedral, where she had particular interest and oversight of the nurture and catechesis of children and young people at local and Diocesan levels. Much of her career in Education has been in Roman Catholic and Anglican multicultural schools in East London. Subsequently, she became a Head of School in two Devon schools, one in a rural setting, and the most recent being Exeter Junior School, a large city school until 2015. At that time she moved to New York to join her husband. She holds a BA Hons and subsequent MA in Theology and Education, which she read at St Mary's University College, Twickenham (Surrey University). She is currently studying for a Masters in Sacred Theology at The General Theological Seminary, here in New York. Her husband, Carl is a neighboring Rector within the diocese. They live in Manhattan with their beloved Cairn Terrier, Bertie. Alison has three grown children and a young grandson in the UK. She is particularly committed to issues surrounding ecumenism, children with special needs and the needs of adoptive families. Luke Zerra is excited to serve as a seminarian at the Church of the Transfiguration. Originally from Florida, he attended Flagler College in St. Augustine, Florida, before moving to Princeton, New Jersey, for Seminary. He is currently living between New York and Princeton as his fiancee, Laura, attends General Theological Seminary. 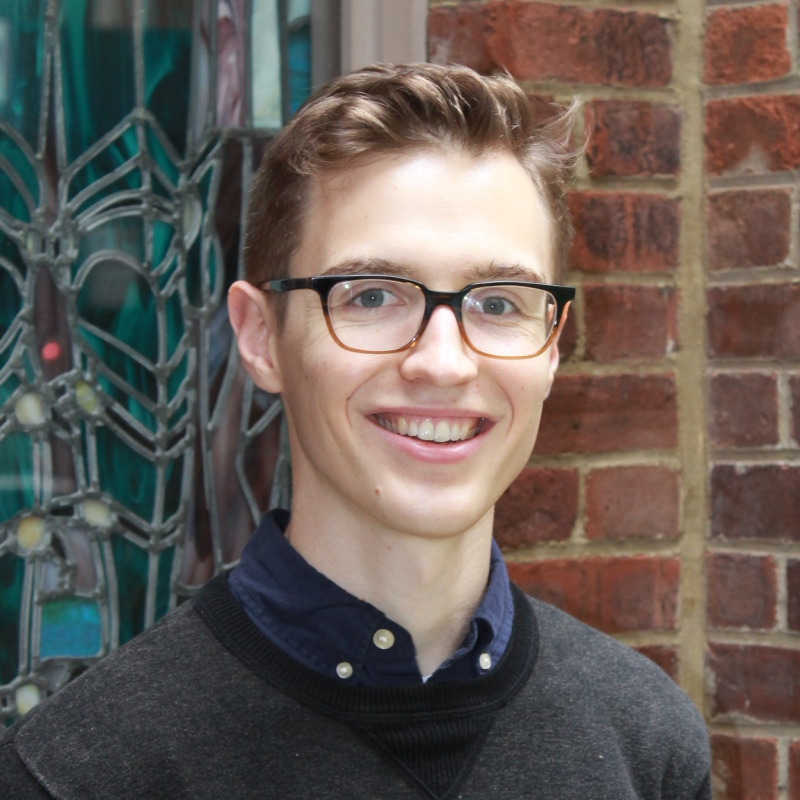 He is currently a PhD student at Princeton Theological Seminary and a postulant in the Diocese of New Jersey. Luke is looking forward to learning about Anglo-Catholic worship and piety, developing skills in preaching and liturgy, and is looking forward getting to know the congregation of the Church of the Transfiguration and the broader community. Dr. Claudia Dumschat received her doctorate from the Manhattan School of Music and has performed organ concerts throughout the United States and Europe. She is the recipient of many awards and has been recorded on CD and is heard frequently on the radio. Many of her performances may also be viewed on her YouTube channel. She is currently on the Board of the New York Chapter of the American Guild of Organists, a Council member of the Episcopal Actors Guild, and Chair of the Music Committee of the Greenwich Pen Women. Grace Kobryn has been The Church of the Transfiguration’s parish administrator since June 2016. Since the age of 8, she has been involved in many different ministries across many denominations. Grace currently volunteers with her church in Staten Island as their Christian Education committee chair and as a member of their board. In her free time, she enjoys going for runs and writing. Adam Constantine supports Transfiguration's liturgical and operational life. Adam's history at Transfiguration began as a member of our Boys' Choir. In addition, he is a professor of mathematics at a local university. Elizabeth Carr has been a parishioner of the Church of the Transfiguration since 2003 and has been involved in Transfiguration's children's ministry since 2016. 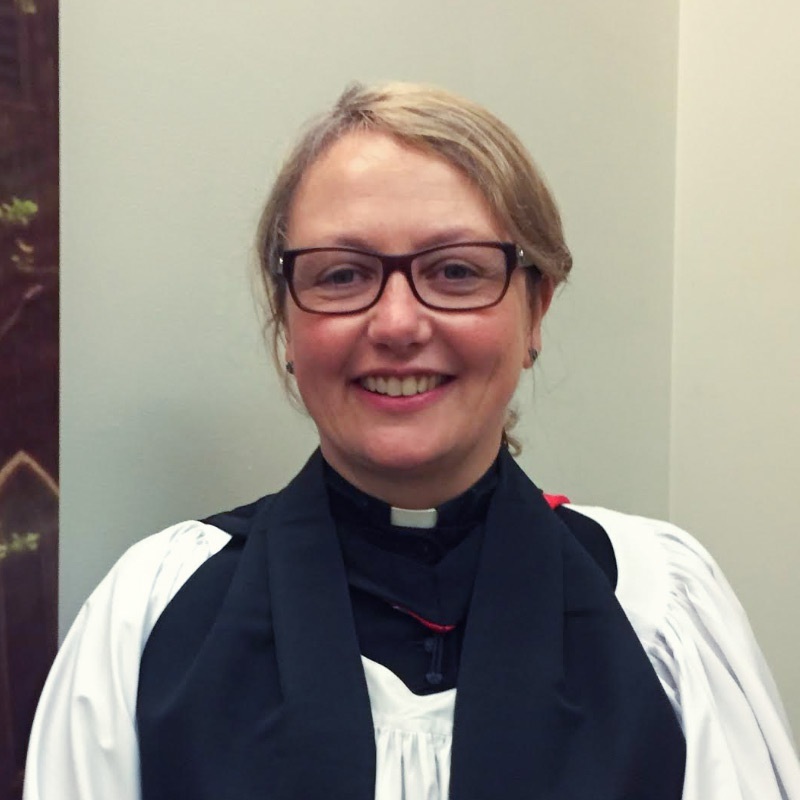 Elizabeth grew up in Toronto in the Anglican Church of Canada and first began teaching Sunday School at her local parish church when she was in high school. After graduating from high school, she moved to Ithaca, New York, to attend college, where she studied Mandarin Chinese and met her future husband, Nathan, a fellow parishioner at the Episcopal Church at Cornell. Elizabeth spent a year in Beijing studying at Tsinghua University before returning to the United States to study law at the University of Michigan. 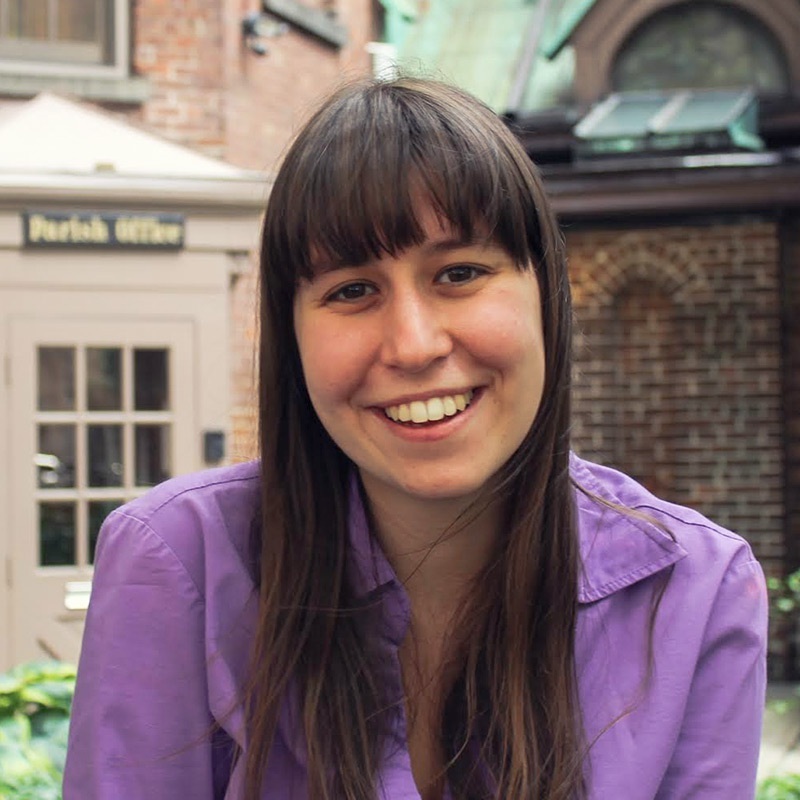 After graduating from Michigan, Elizabeth moved to New York City. 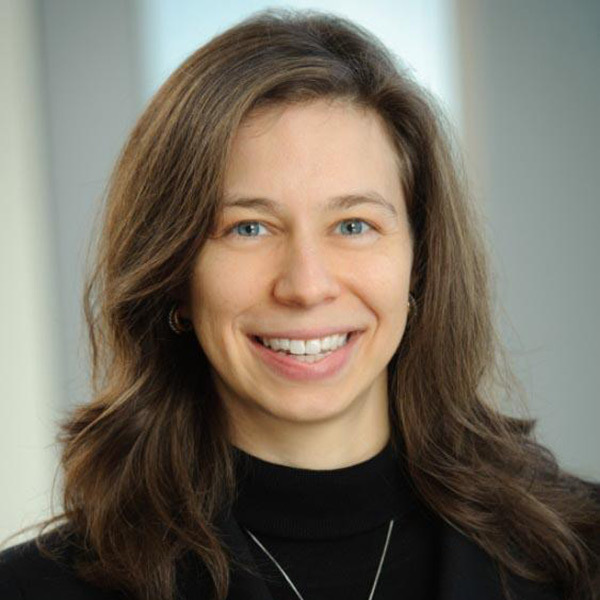 She has worked as a lawyer in the field of structured finance since 2002. Elizabeth and Nathan live in New Jersey with three of their favorite Sunday School pupils. Joe Ponessa has been Transfiguration's bookkeeper since May 2011. He is a wealth of knowledge for both financial matters and obscure references.